"It's the end of the line for Honest Ed's," says a new sign emblazoned on the front window of Bathurst station — a fitting tribute by the TTC to the iconic discount store that sits about 100 metres south of the station on the other side of Bloor Street West. "It was here before the subway was here. 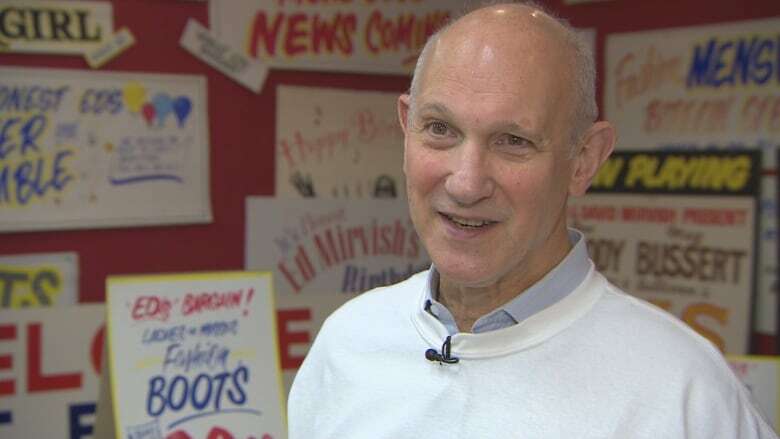 It was here when the streetcar line came along Bloor Street," Mayor John said as he unveiled the new installation of Honest Ed's famous hand-painted signs Tuesday morning. One of the slogans on the station window — "Been There, Dundas" — is a play on the puns the store's founder, Ed Mirvish, used to love to write on those signs. Honest Ed's is closing at the end of the year after 68 years in business. After establishing the store, Mirvish went on to become a well-known philanthropist and a patron of the arts. He died in 2007 at the age of 92. Mayor Tory spoke of the store's contribution to the Annex neighbourhood and its cultural impact. "When I needed a green jacket of a certain colour of green to wear to the St. Patrick's day parade, I thought to myself, 'Where am I going to find such a green jacket?' And my first thought was to go to Honest Ed's," he said. "I went to Honest Ed's and the green jacket you see me wear to this day in the St. Patrick's day parade came from Honest Ed's." "We first started with a 250-square-foot store at this corner," said Mirvish. "One of my best experiences is coming home from trips and the customs person will say to me, 'Was it your father who had that store? You know, my mother bought her first drying rack there.'" 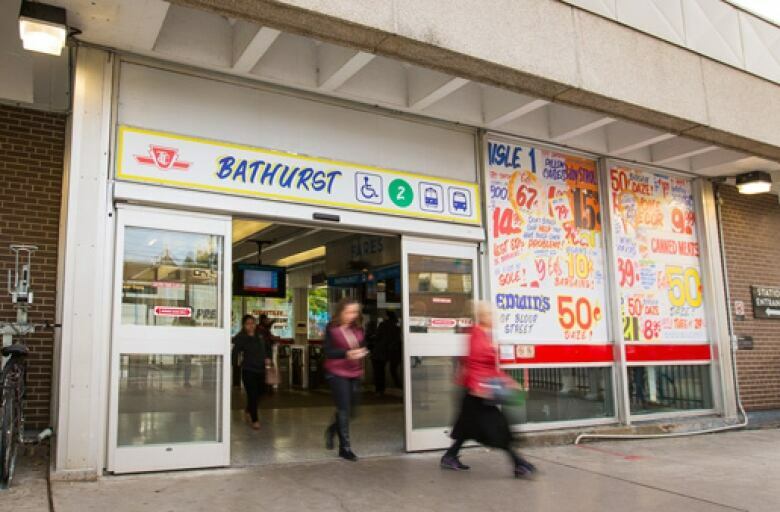 The store will be replaced on the 1.8-hectare lot by a residential and retail development, but the TTC is hoping the installation at Bathurst station will keep the memory of Honest Ed's alive.